One of our best-kept secrets at Wingtip is San Francisco's most private, quiet, relaxed barbershop atmosphere. There, you can relax with a coffee, water, beer, or whiskey, while master barber Joe Roberts works his magic with the straight razor or clippers. Joe is returned to again and again for his haircuts, beard trims, head shaves, and Fusion shaves for sensitive skin — but we happily boast that its his gentle, soothing, and assured take on the straight razor shave that really puts him in a class of his own. 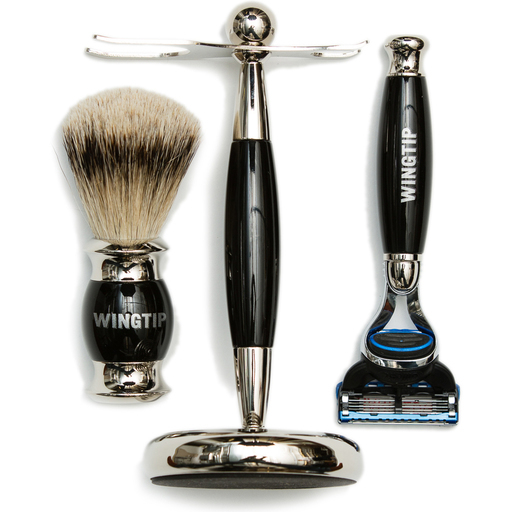 Book some time with Joe the Barber at Wingtip.